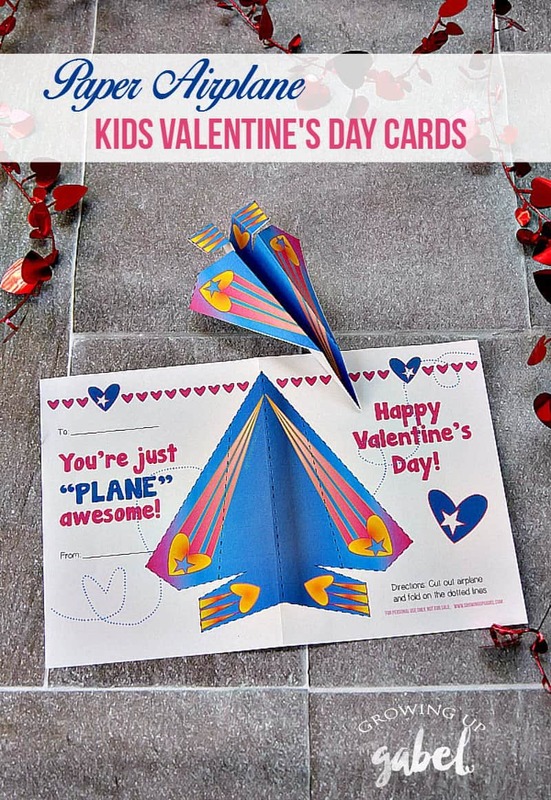 Paper airplane Valentine cards for kids will be the most popular card in class! Just print out, fill in, fold and hand out. 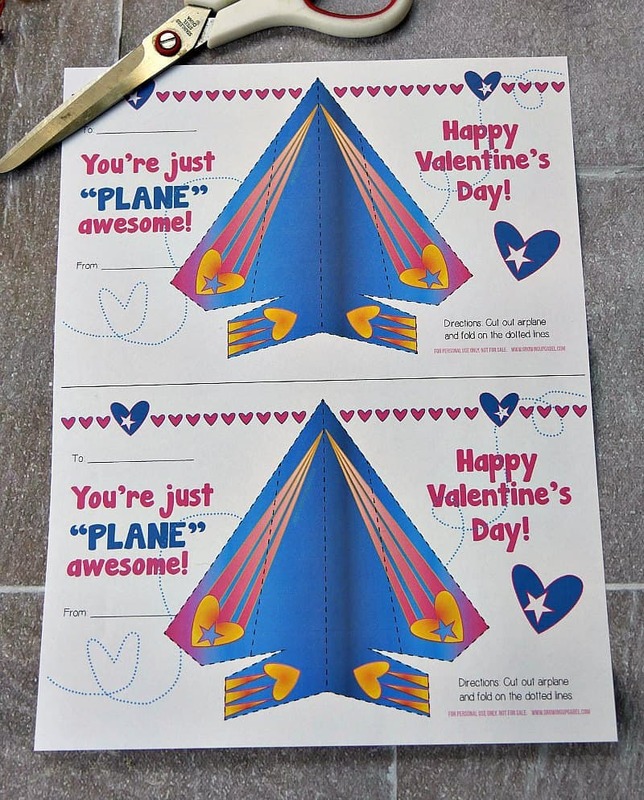 Recipients can cut out and fold the plane for Valentine's Day fun. 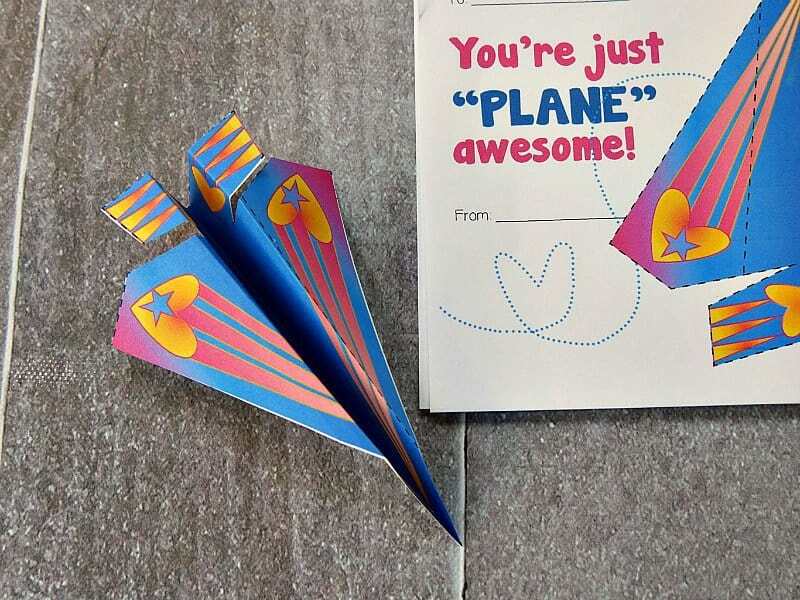 What kid doesn't love a paper airplane? They are the simplest toy to make and provide a lot of fun. 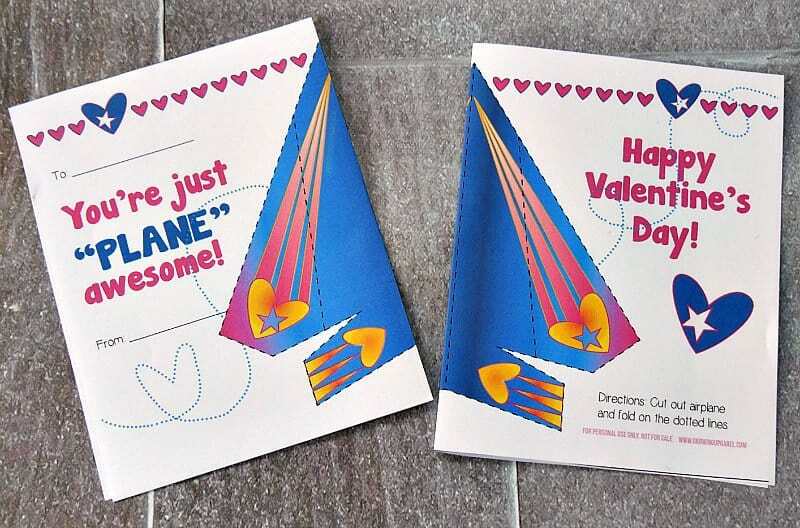 We took that idea and created these adorable Valentine cards for kids. The cards are folded in half and given out. 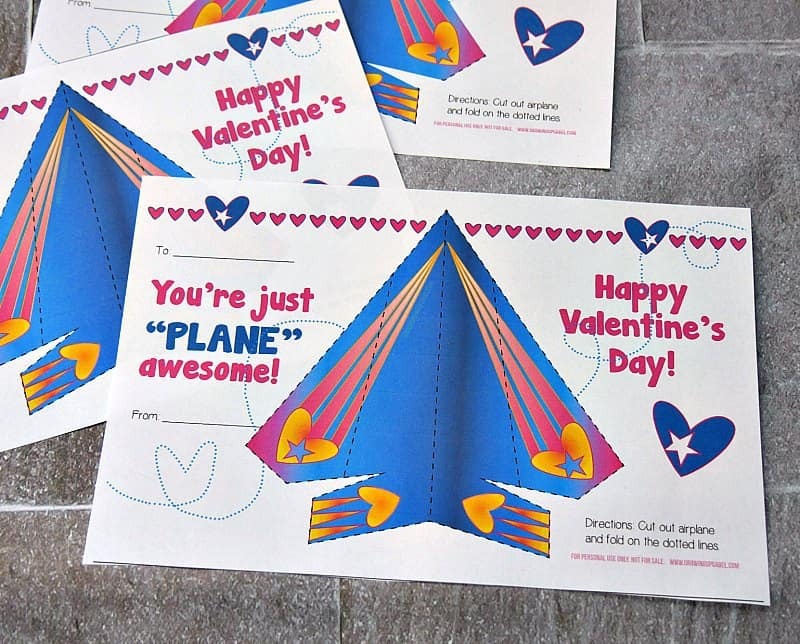 Then the recipient can cut out and fold the plane for a little Valentine's day fun. Begin by downloading and then printing out the Valentine card. There are 2 cards on each sheet. Take the number of cards you need and divide it in half to determine how many sheets you need to print. Cut the sheet of paper in half on the heavy black line. You now have 2 cards. Have your child fill in the TO and FROM portions on the top left corner of each card. Fold each card in half. This is how you give the card to the recipients on Valentine's Day. Their are instructions on the card on how to make the paper airplane. It's very easy! 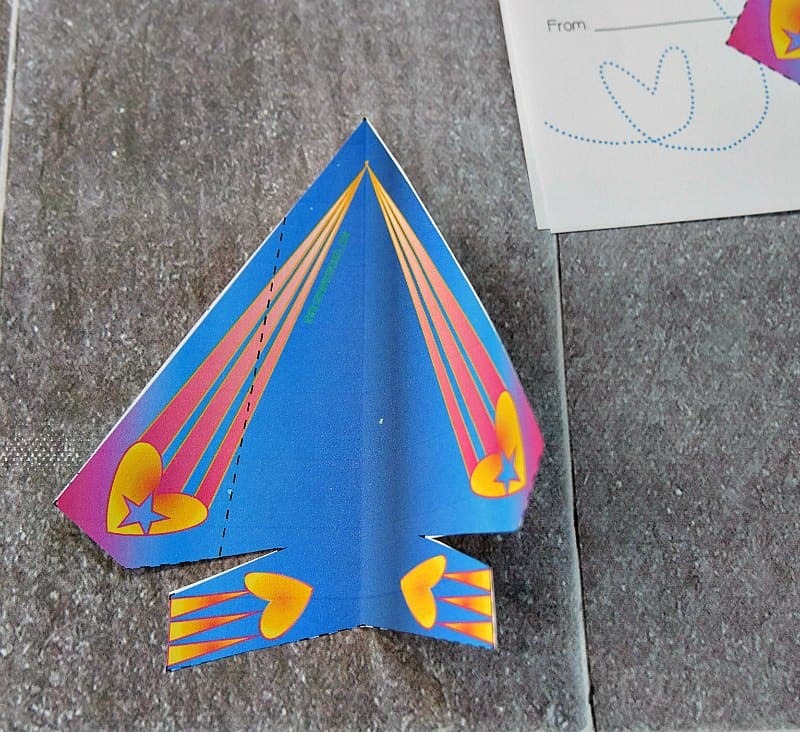 To make the paper airplane, cut out around the outside of each plane. 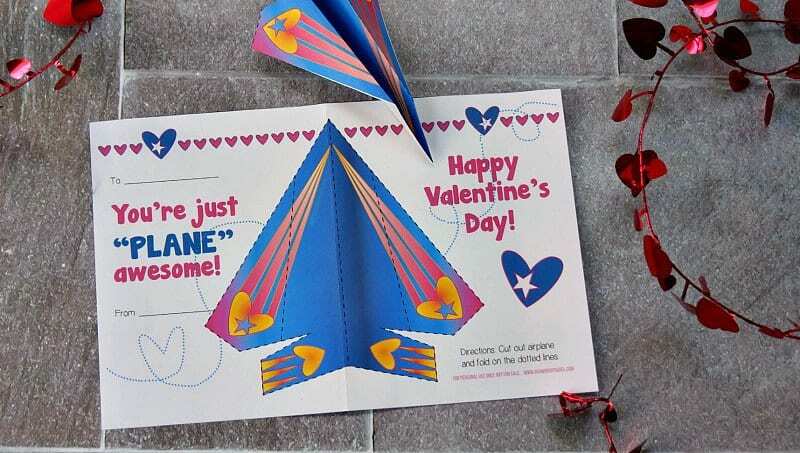 The plane should already be folded in half since the card was folded. Fold the plane in half. Next, fold the wings along the dotted line and just match up the other wing on the opposite side. I also folded down the tips of the tail wing even though there aren't any lines. I just thought it looked better. That's it! The plane is ready to fly. But hopefully not during class! Help! I printed a bunch out for my son’s class, but they don’t fly. They just flutter for about 3 feet in front of me. Am I missing something? Did you print on card stock? We printed on card stock. They flew as well as any small paper airplane can fly. 🙂 The boys had fun playing with them! Yes, cardstock. I also tried regular paper. Also tried paperclipping the nose. Tried with back wings straight up, folded down, and torn off. Tried different holds, different trajectories. Nothing. Your boys must be expert pilots. What form do I need to complete in order to download the printable?